Discussion in 'Everything Else Archive' started by Rick Towne, Apr 24, 2016. 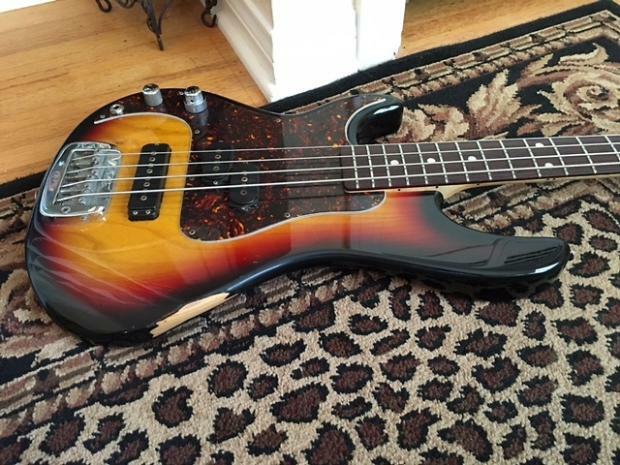 Mid-90's USA/Fullerton-made G&L SB-2 bass, Serial # B208204. 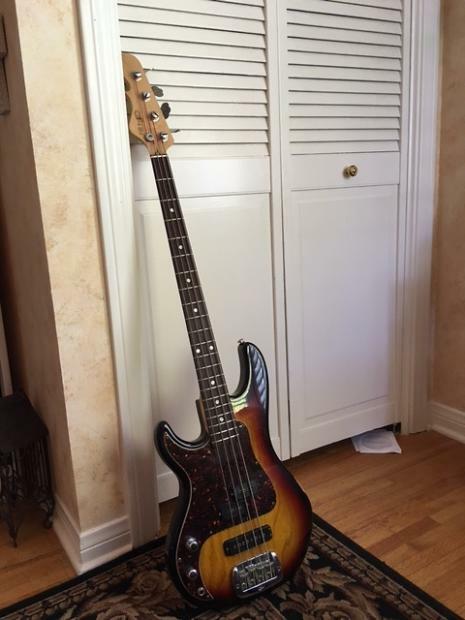 Three tone sunburst finish. Very good condition with two areas of wear as shown in the pictures. These came with the bass when I purchased it. 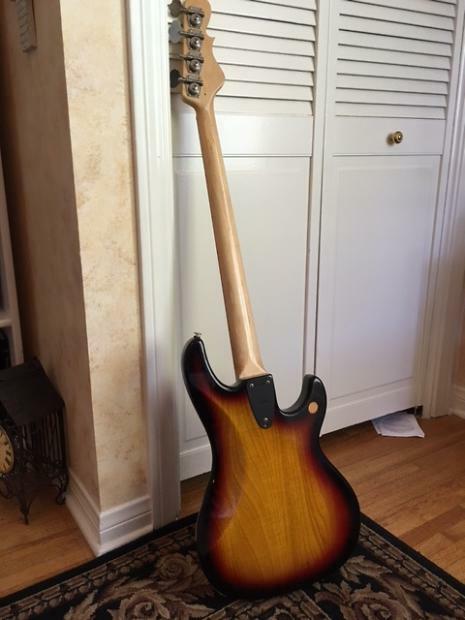 Original G&L MFD pickups and tortoise pickguard. Two volume controls, as manufactured, with an added concentric pot tone control on the front pickup volume control.This allows you to blend the volume of each of the pickups to your preference. 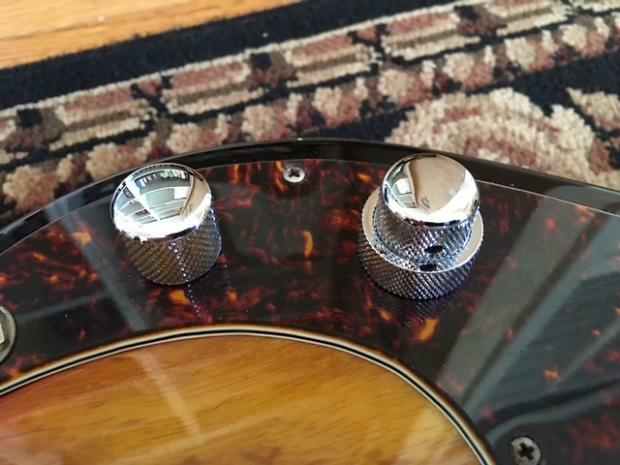 The bass was professionally set up and the tone control added at by Avi Shabat at Guitargroomer.com. Additional pictures or details on request. $850 paypal plus shipping $825 for local SoCal pickup/delivery.